The most common and the monstrous defect in the education of the day is that children fail to acquire the habit of reading. … This habit should be begun early; so soon as the child can read at all, he should read for himself, and to himself, history, legends, fairy tales, and other suitable matter. He should be trained from the first to think that one reading of any lesson is enough to enable him to narrate what he has read, and will thus get the habit of slow, careful reading, intelligent even when it is silent, because he reads with an eye to the full meaning of every clause. This topic was already on my mind when it was mentioned in the comments. You see, last week was the first time I’ve tried moving my youngest toward reading any of his school books on his own. Until now, we’ve done his reading lessons — and he regularly reads on his own — but I haven’t asked him to read and narrate. To be honest, I’d considered that perhaps he was ready, but I didn’t make the move until we had a couple days where we were really crunched for time. It would save time, of course, if he’d read on his own and come narrate to me after, rather than needing me to read aloud as well as listen and discuss. Sometimes, our need for expediency isn’t all bad — it pushes us in the direction we ought to be going anyhow. I will admit that I have a tendency to baby this youngest child of mine because there aren’t any children coming up after him. This means I’m not starting phonics lessons with someone else, which was the case when all of his siblings were his age — and this in turn means that finishing his reading lessons isn’t as much on my radar as it was with the others. In addition to this, I’m doing all of these books for the last time and reading aloud allows me to savor them all. I never asked any of my older children to read their own books in second grade, so doing this is actually unusual, and yet he is older than any of them were at this stage (he turned eight the first week of the school year) and I knew he was ready to try. Holding him back, just so I can enjoy a leisurely reading with him, isn’t the best thing. I learned this the hard way with my oldest. An exceptionally early reader, he could have read all the books on his own in first grade, which of course I didn’t want him to do. Reading aloud is, as most of you know, also a bonding experience. So I read first grade aloud to him. And then I did second. And then third. I mean, we were having such a good time, and I still didn’t have any other students to speak of. But then fourth grade came. I started first grade with my second child, and my third and fourth children were getting wild. 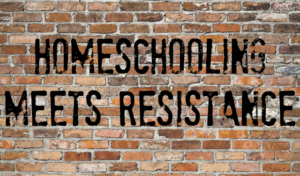 (Did I ever tell you about the time they escaped from the house during one of Daughter A.’s reading lessons? My elderly neighbor found them dancing in the pouring rain in the middle of the street. They were two and four and I was so embarrassed when she knocked on the door and ushered them into the house.) In the midst of this craziness, I thought it’d be great if Son E. just started reading it all on his own. I mean, he was perfectly capable. That was dropping him into the deep end and I later realized I created a great amount of stress in his life when I moved to eliminate it from my own. 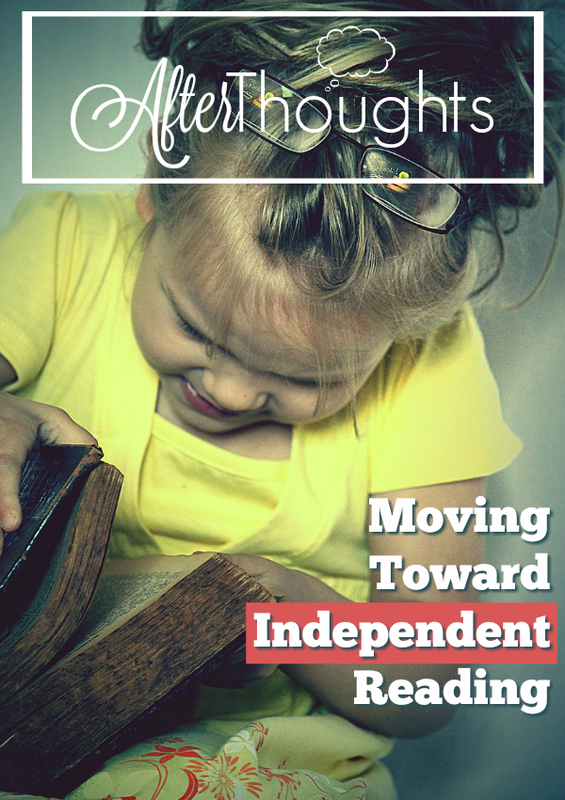 This is how I learned a lesson the hard way, which brings me to my first point on moving our children toward independent reading. If the general goal is to have them reading independently by fourth grade (which I did with my first and third children but my second child wasn’t ready in fourth), then we can work backwards. A lot of children can’t read anything on their own in first grade, and I think that’s fine. But then, with second grade, it’s generally wise, if there is a book they can do, to have them do it on their own. I started this, as I said, last week with my youngest. He was in the last week of the first term of second grade. I had him try a chapter of Our Island Story one day, and a page of Tree in the Trail on a different day. Our Island Story was a bit of a struggle. I’d asked him to do the whole chapter (but told him to come narrate halfway through). I ended up reading the second half aloud. My mini-crisis had passed, and I felt like the half-chapter had been enough of a challenge for one day. He did so well, I’ll be choosing one or two readings for him to try on his own each week. When third grade rolled around for my girls, I chose a book off the list that I knew they could do, and assigned them that book on their own. 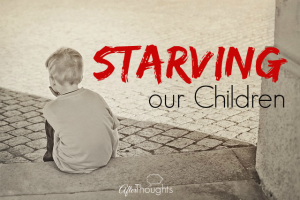 For my second child, this was enough. She struggled. For my third child, she loved it so much that she asked for more. She loved that school was more efficient because she didn’t have to wait for me to read to her. I think it’s helpful to choose a chapter here and there before handing a whole book over — this way if you have to take the book back because it’s proven too difficult, it doesn’t feel like a big deal to the child. 2. Train them to stop and narrate. When they start reading for themselves, their temptation will be to plow through the whole reading assignment at once. Stop this before it starts! I didn’t do this with my two older children, and then we had to back up and break bad habits. Just as you might stop in the middle of a chapter, so they must learn to do the same. 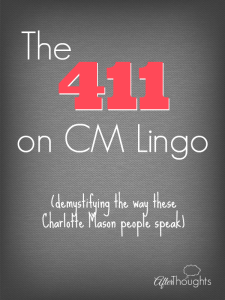 Now, granted, some children really can narrate a whole chapter, even when they are young. That’s fine! But if your child normally needs you to break the chapter up in order to be able to narrate well, discuss that before he begins to read on his own. You can even mark little breaks on the pages and instruct him to come narrate each time he reaches a break. 3. Don’t forget all we’ve learned about helping our students with hard books. Reading “on their own” doesn’t mean zero guidance. You can still start a reading with, “What happened last time we read this book?” You can still review any vocabulary that might arise in the chapter. And so on and so forth. 4. Read the first few chapters aloud before handing a book off. He read the rest of it on his own and he did fine. I really think reading the first bits aloud — letting him hear a fluent reading of the words — helped immensely. (If a book like this hard for you, then you might want to follow along with your child using an audio book instead.) This isn’t necessary for all books, of course, but it’s handy for a book you know will be an extra challenge. 5. Remember: one reading followed by narration. 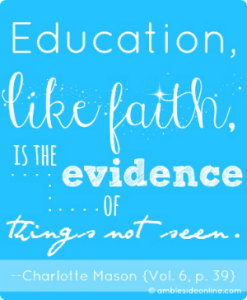 As the quote above reminds us, when children are beginning to read for themselves, we have to guard the concept of a single reading followed by narration. This habit — of reading only once — is how they are trained to read carefully the first time. So, when handing over a book, make sure they know the ground rules: read and then narrate; do not review before you come to Mom. This is important. 6. Have your child read aloud. Just because he’s finished his phonics lessons doesn’t mean coaching is no longer necessary. Having your child read aloud to you regularly helps you know where he is weak and strong. I have been known to write down the fumbled words in order to see if there are any patterns in the words that are a struggle. For example, if a child struggles over main and rain and pain then a review of the ai sound is in order. Make sense? I’m not saying correct every single word when it’s a problem. Have you read Understood Betsy? If not, read it and then you’ll know why I say this. But having him read aloud helps him develop as a reader and helps you know where he still needs instruction. 7. Pray for your children. The Holy Spirit is their Helper in all their troubles, even troubles in their lessons. Teach them to turn to Him when they don’t understand, to ask for wisdom. 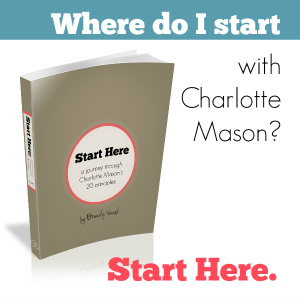 This is the essential lesson of Charlotte Mason’s Great Recognition. I know it can be scary and/or frustrating when you start handing books over. You wonder if they are getting it. You worry they can’t do it. Or something. We all do this in our minds. Learning to read on their own is more important than any one lesson (or even a book) that you feel went badly. You know what? It’s okay if the book is a challenge. I remember my pastor once telling a friend of mine that she should always be reading a book that is a challenge — this is how you become a better reader. A “challenge” doesn’t have to mean a horrible experience. It doesn’t have to mean everybody hates the book in the end. In regard to my friend, she was showing a book she had read that was “way over her head” and yet … she loved it. I think our children can experience this, and I have found that they often rise to the occasion. I cannot tell you how many times I have handed a book over with fear and trembling. Can she do it? Will it be okay? I doubt my wisdom, but I also doubt the wisdom in reading the book aloud. The vast majority of the time, the child rises to the occasion. I am always shocked and amazed. Remember: the main way you can tell how the book is going is through the quality of the narrations you receive. So pay attention and if the narrations are going poorly, start doing your detective work to discover why, and make whatever adjustments you deem necessary. You’ll be glad you did. My oldest daughter (4th grade) has been reluctant to read on her own or would give a super minimal narration, which I see now is probably because I didn’t have her pause for a narration. I think these suggestions will help get us on the right track! This is so helpful! I read without processing very much and will fly through something but hardly retain anything beyond a few facts which is so frustrating! I definitely wasn’t trained in the discipline of narration and have been slowly (it is so hard!) trying to practice slower reading and then making myself narrate what I just read or listened to. Anyway, this blog post is incredible because it shows me how to train my own little children how to learn well from the start. Thank you, Brandy! Thanks so much, Brandy. It’s helpful to have all these thoughts in one place. Do you think that if I (somehow miraculously) hit all your points here with Understood Betsy and my daughter still dissolved into tears whenever I mentioned she had to read it that day–that maybe she just isn’t ready for independent reading (she turns 8 mid-December)? The only thing I didn’t do was read the first few chapters aloud. 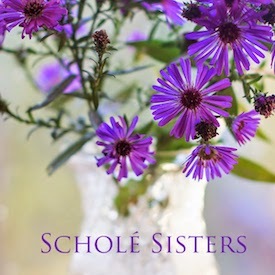 She’s a very confident independent reader–she has read Laura Ingalls Wilder with no problem as well as Mary Poppins, and reads all sorts of other things as a habit without prompting. I’m wondering if she doesn’t like that she can’t just zip through the school book, because she knows she’ll have to narrate? Then I’m wondering if she’s stubborn and disinterested in hard work, and I need to keep firmly encouraging her. But she really did dissolve into tears EVERY TIME. We finished UB today–I read the last two chapters aloud, and we laughed and she was totally engaged, and then still gave me a terrible narration. I’m kind of baffled. But anyway, these are great thoughts, and lucky for me, I have two more little ones coming up behind with whom I can share Betsy and the Putneys. Thank you so much for your insight, honesty, and encouragement. I am so blessed by your articles. It’s so helpful to me to hear an example of how someone else has done things in order for me to think about how I want to do things regarding’s school. Keep it coming… Others are benefiting! 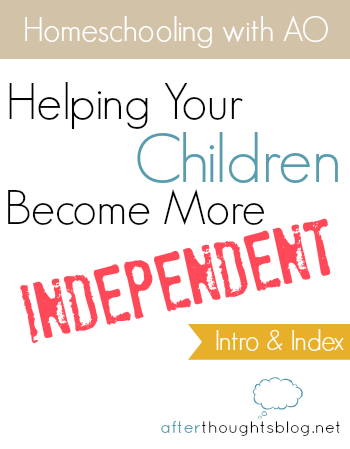 This is phenomenal advice, Brandy, and I think it will help ease the anxiety many parents feel about transitioning their reading students to owning their work in this manner due to the many practical tips you’ve outlined here. I have been following many of these tips this year with my Year 3 student (on our final week!) as I’ll be adding in another Y1 student when he takes on Y4 in January. Your recommendations encouraged me that I am on the right path, and I especially appreciate the reminder re: the importance to have the child stop and narrate rather than completing the entire reading. That is something I have paid closer attention to this final term and I think it is a really important piece of the puzzle. Yes! So true — pros and cons to everything. And I think you’re right that it’s common — or at least it seems to be when there is a long enough gap between the two oldest children for it to happen. I know what you mean: they are capable, but … trauma. Sigh. I really do cling to that verse about it being the Lord who builds the house! I am homeschooling my eighth child, and finally,with this one am working on getting her to read and narrate. I can see that I should have started earlier, but better late than never. I had her read and narrate one book first term, then added a second book this term. Hopefully, a third book next term. Do you write down their narrations? 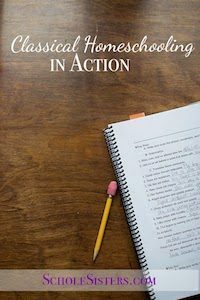 When do you begin requiring written narrations? I begin written narrations around fourth grade/age 10. I start with one per week and add one each year until we are doing them daily. 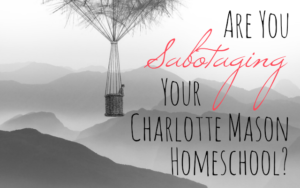 Are You Sabotaging Your Charlotte Mason Homeschool?